Explanation: What is the history of the outcropping of rock called Methuselah? 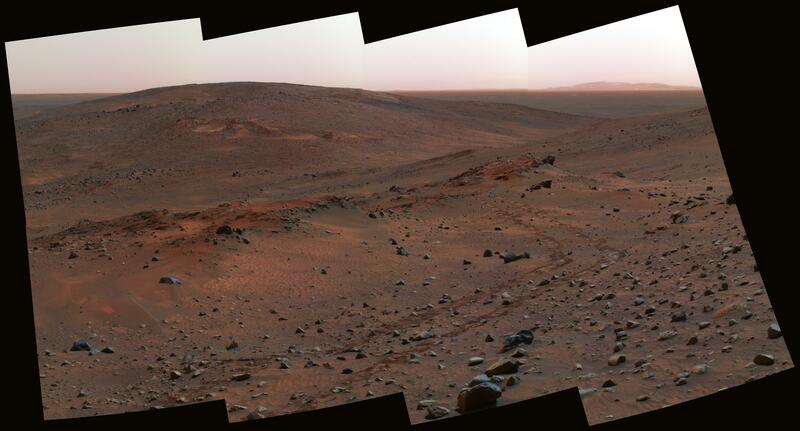 The unusual rock group is visible on the left of the above image taken by the robot Spirit rover current exploring Mars. Methuselah was discovered while maneuvering over hilly terrain and shows unusual multiple layering that caught the attention of the rover science team. Since the above representative color image was taken about three weeks ago, Spirit has moved in to get a closer look. 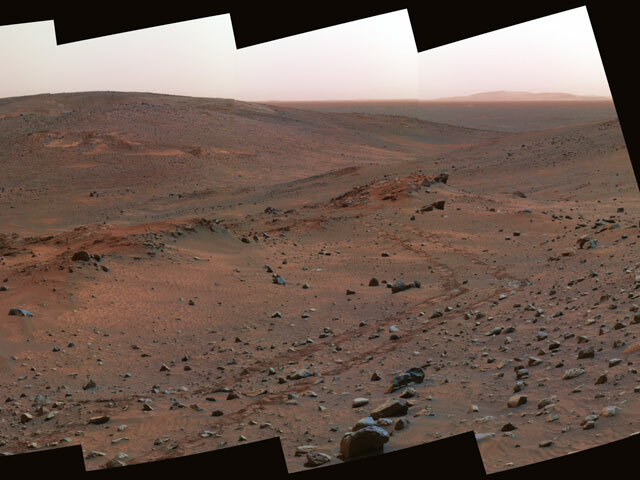 Also visible in the above image are another rock outcrop dubbed Larry's Lookout on the upper right and a larger Clark Hill in the left background. On the far right is a more distant peak of the Columbia Hills.